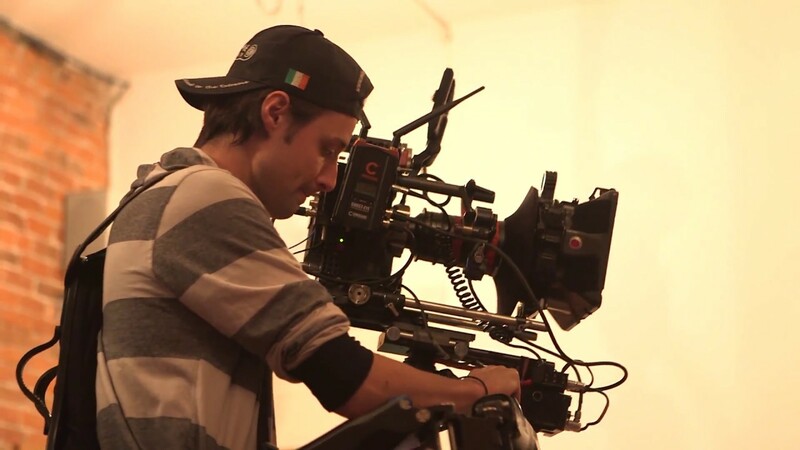 Immerse yourself in filmmaking with our 1-year Film Production Program. Learn directing, screenwriting, cinematography and more. Become a filmmaker. The core of the Film Production Program is its dedication to hands-on, practical training. Cameras are out from day one, with interactive lectures and weekly exercises that supplement and strengthen your creative and technical skills. Gain wide-ranging experience as you complete multiple short films and a capstone graduation film with full creative autonomy. Walk away from the Film Production Program with a diploma, a solid portfolio, industry-ready skills, and a clearer understanding of your own artistic voice. In the Film Production Program, your class is your crew and your instructors are your mentors. With small class sizes, you get individualized attention from award-winning, industry-professional instructors and the opportunity to connect with your classmates in and out of the production process. As you move forward, you’ll build strong creative and professional relationships that last well into your career. Complete 11 short film projects including a short doc, music video, and multiple short dramas. Use of all our professional gear is included. Small class sizes maximize individual attention. Please select your start date to view tuition. Joining InFocus means you are more than just a student. We are dedicated to your success, both during the program and in launching your professional career after graduation. Many InFocus students have won awards, received grants, and made the selection of prestigious festivals right out of school. In addition to supporting and promoting your projects, we offer on-going assistance by building your network of industry contacts and connecting you with job opportunities. Employment opportunities for Film Production graduates may include Director, Director of Photography, Producer, Assistant Director, Camera Operator, Boom Operator or Mixer, Editor and a host of other positions. Students will also receive instruction on how to start their own production businesses should they choose a more entrepreneurial path. A picture is worth a thousand words, and film is 24 images per second. As the first portfolio project, the silent film challenges you to approach film as first and foremost a visual medium. This project asks you to create a clear story without dialogue. A good filmmaker has empathy for their subjects. That’s why we ask you point the camera at yourself early in the program. The Biography project is your opportunity to explore a pivotal moment in your life and to gain the insight and understanding needed in a filmmaker. Documentary film aims to capture a subject or topic as is, but just turning a camera on a person can change their behaviour. The premise of Observational Film (a.k.a Cinema Verité) is to become a fly on the wall—that is, to capture a scene in its most natural state. From full-length features to short local eatery spotlight videos you scroll past on Facebook, documentaries are an increasingly important and pervasive form of film today. The Documentary project is your chance to try your hand at drawing out an interesting story from the world around you. Whether it be for corporate or creative reasons, you’ll be glad you have the experience to craft a story that’s truer than reality. Wes Anderson, Ava Duvernay, Christopher Nolan. Give these three directors the same script and each will produce a vastly different film. With the Director’s Vision assignment, spin an assigned script into your own story with your own flair. Ask yourself, what makes your films yours? When thinking about film school projects, the Web Short/Short Film project is likely the first to come to mind. Assigned in Term 2, this 3-5 minute dramatic (or comedic!) short is the culmination of your education so far. As you write and direct your story, wake your inner auteur and bring your story to life with a trusted crew. Spike Jonze, Ridley Scott, David Fincher — these iconic directors all had their start directing commercials. Many, including Sofia Coppola, direct commercials even after global recognition! This project is your chance to gain experience creating a 30-second dramatic TV spot as well as using green screen and After Effects techniques to supplement your shots. The harsh, mysterious shadows of noir. A romantic evening under a ceiling of fairy lights. A masterful cinematographer uses light to paint mood and emotion into a scene. The Painting with Light project is about grappling with light, shadow, and colour. You must work with your fellow students to create a simple scene that matches an assigned genre. Some of the most beautiful shots in film are unbroken sequence shots (or “oners”). Seen in single scenes like the Dunkirk beach scene from Atonement, to full-feature films like Russian Ark, the oner is a beloved and celebrated cinematic device. Your challenge is to master the continuous reframing and refocusing required for this elegant and dynamic shooting style. The Film Pitch assignment is your introduction to the blurred line between art and business in the world of professional film. Learn and practice the process of pitching by putting together a pitch package and presenting it to a panel of industry professionals in a mock pitch session. The feedback you receive afterwards will be an invaluable part of your journey in the industry. It’s your time to shine! The Grad Film is the capstone of the Film Production Program. Every student writes and pitches a short, 8-15 minute film to a panel of judges. Grad Film projects will be produced with full crews and will reflect the culmination of all your skills built over the course of the program. Finally, it’s artist’s choice! The Passion Project is your opportunity to produce a piece of work you’ve wanted but haven’t had the chance to create in the program. This project is your responsibility from beginning to end, from conception to crewing to shooting. But don’t worry—your classmates, instructors, and staff are here to support you when needed. Knowing the craft isn’t enough—you’ve got the business side of film to contend with too. We’re here to help! With the support of industry professionals, prepare for your first steps into the industry during the last weeks before graduation. Gather your projects into a stellar demo reel and create a website that makes you shine. The art of cinematography is a cornerstone of film production. Leading DOPs will teach you to expertly manipulate light and work with advanced cameras and rigs. Term one focuses on the basics of camera operation and lighting. Term two focuses on advanced cinematography theory, professional equipment such as dollies and jibs, and lighting for genre. Learn to shoot film on a range of professional video camera systems including Red Cinema Cameras. Story is the heart of film. Established screenwriters teach the fundamentals of story development and foundational topics such as character, three-act structure, dialogue, theme, and genre. After the general overview, we delve deeper into detailed breakdowns of character and structure. We even teach when and how to break the rules. Instructor-led workshops will improve your writing and interactive lectures will teach the fundamentals of screenwriting as you write several short scripts that will be produced during the program. Film productions are a collaboration of different departments working towards the same goal. The Assistant Director is the glue that binds all of those departments together. Learn to prepare a film shoot, break down a script and schedule the shoot using Movie Magic Scheduling software. By understanding leadership, film set protocols and safety concerns, you will learn to keep the crew moving forward, lead both production meetings and the production itself, and be the communication hub on set. The producer is the driving force behind any project. From start to finish, they are the people behind the curtain; the essential leaders of the filmmaking process. Producers control the project, build the team, raise finances, oversee the budget, organize the production, and are responsible for delivering the project based on agreements. You will learn the fundamentals of producing including creative development, budgeting, funding, pitching, team building, project management, marketing, and distribution. As a director, you must know how to effectively translate your vision from the written word of the script to the images on the screen. Award-winning directors teach you the intricacies of both dramatic and documentary film, mentoring you on how to become a successful director. Learn shot selection and psychology, script analysis, the protocols of blocking and rehearsing, how to work with actors and how to communicate your vision with your team. Sound is often overlooked but is an essential component of any film. Recording clean dialogue and sound on set is vital and having the technical skills to effectively operate audio equipment saves countless hours in the edit suite. Work with professional Rode and Senhiesser microphones and learn about microphone placement, how to operate a boom, and how to mix and record audio with a variety of Zoom and Tascam mixers. Crafting a cohesive and interesting story from factual events can be even more difficult than writing fiction. Lectures are combined with production labs to give you an overview of how to write treatments, design production schedules, scout subjects and conduct interviews. Exercises and film shoots are assigned throughout the course to provide the opportunity to practice and master your newly acquired skills. Editors play a dynamic role in film production. They work creatively with images and music to set the pace and tone of a film and effectively tell the story. Every editor spends countless hours agonizing over his or her work, making what they do as invisible as possible. You will learn will to work with Adobe editing tools such as Premiere and After Effects. Sometimes it’s impossible to record clean audio on location, and even if it is clean, multiple layers need to be added on. You will learn to work with Adobe Audition to fix dialogue issues, add sound effects, create soundscapes, and record ADR to fully flush-out your films. Professional sound editors workshop your progress and provide mentorship through the process of audio post-production. Are you considering a career in the film industry? I would like to hear from you, show you the school, and discuss how InFocus Film School can help guide you and set you up for the most success in your career!